Think of clotted cream and images of fruit scones, strawberry jam and afternoon tea by the sea soon follow. Rich, and wickedly good, clotted cream is the pride of the West Country thanks to the care with which it’s made. And it is this niche market which has captured the attention of 23-year-old Cheshire farmer Henry Cooke, who is stirring up a storm after recently launching the first clotted cream to be produced in the county. 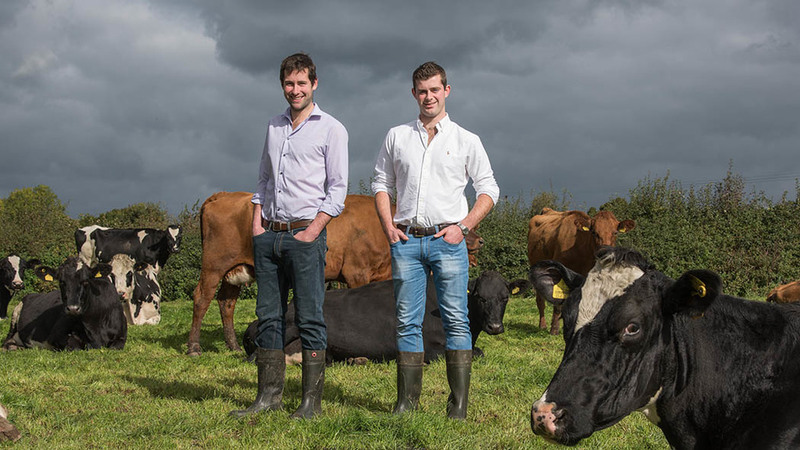 His aim is simple – to produce a premium product to rival famed products from Cornwall and Devon using milk from the family farm, near Tarporley. But why decide on clotted cream of all products as a diversification enterprise? For 20 years, Henry’s father, Andrew, has co run a catering equipment hire company with wife Elizabeth, supplying hundreds of venues, parties and events. But to pursue the idea required initial capital so, to ensure confident business decisions were made going forward, Henry used his dissertation to conduct an extensive feasibility study on the manufacturing of clotted cream on the farm. “I looked at how it was made, the different methods of marketing it and how much it would potentially cost to incorporate a new processing facility on site. “I read books, distributed questionnaires and spoke to chefs, restaurants, farm shops, cafes and caterers. “We’ve seen a gap in the market here in the North West and we believe we can produce a product that can compete. After graduating with a degree in agriculture in 2015, Henry went to work on a dairy farm in Alderney who was producing clotted cream to gain production experience from how the cows were managed to processing and production. Environmental Health have been involved with Henry from an early stage to ensure the new, purpose-built processing creamery progressed in the correct way and to avoid any future complications. “There is no straight formula as to how to set up a production unit and there is nobody you can ring to ask the direct question of how it can be done,” says Henry. “I researched it online, attended events, spoke with packaging and manufacturing companies and understood the machinery we needed. “It is a simple system but to buy from new was not financially viable so we sourced a lot of the kit from Italy, but it was a challenge to find. But find he did and the next six months was spent product testing and balancing the many variables he needs to take into account during production including temperatures, fat contents, raw milk quality, cooking times and temperature. "As ours is a very manual process it has been very difficult to control all of these variables." Working with his brother Robert, 26, who manages the day-to-day running of the farm, Henry was fortunate they were already operating a high-yielding protein herd. 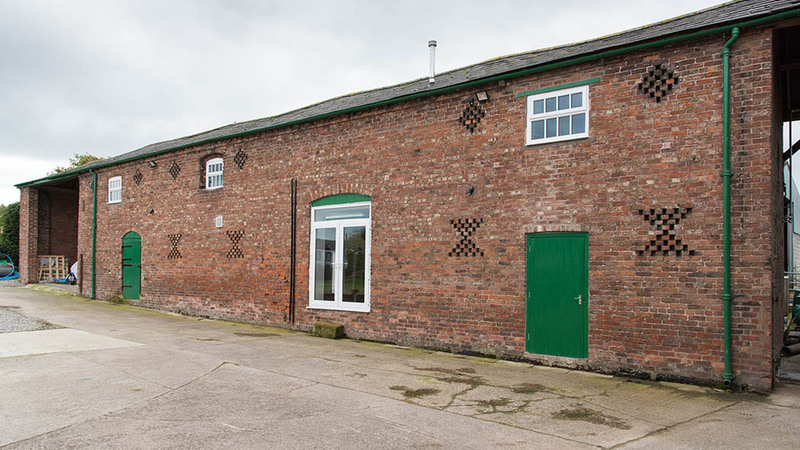 Clotton Hall Farm has always been a dairy unit, growing from 60 cows to 200-head on twice-a-day milking, each producing 7,200 litres. Block calving ensures year-round supply to Joseph Heler for cheese production. The main change to the management system, says Robert, has been switching from a closed to a flying herd and investing in a new parlour and shed. The breeds include Holstein Friesian, Jersey crosses, Danish Reds and Irish Friesians. "We rear a robust cow for longevity that will produce good fats (3.6 per cent) and protein (4.2 per cent). They must also walk well on the rented grazing plots which are sporadically spread outside of the farm." After taking business and marketing masterclasses run by Reaseheath College’s European Regional Development Fund (ERDF), Henry is enjoying his fourth week of full-time production and is learning new lessons every day. When asked to divulge his recipe, he is understandably vague having spent weeks perfecting a recipe with limited pools of help. Obtaining the food production license has been another core challenge, not least because of the length of time he had to wait. “It wasn’t that we did anything wrong but it was just waiting,” he explains. “In fact this whole process has been waiting on other people to get back to us. We could have started much sooner. Local is at the heart of his brand and synonymous to this is his customer base, from which he has now built a nucleus from within a 30-mile area. For clotted cream to travel to Cheshire from Cornwall it takes more than 300 miles, and Henry believes this can only be too their advantage. “This is a considerable amount for distribution costs and food miles where a more centrally located factory would be suited to reduce the food miles. “Our cream is also going to be much fresher than cream that’s coming from the South and that’s going to be a big selling point for us. “The push for more sustainable food and a better local image gives a point to why clotted cream could be produced in Cheshire. Social media is fast becoming key in the promotion of his business and the response to date has been nothing short of positive. “People seem to like to talk to me and see the farm and how the cream is made rather than any hard sell. “Instagram and Facebook are key and I want to make sure I get the right pictures up there with the right hashtags. I have been reading how to make it the best I can and I have invested in a camera rather than just taking them on my phone. Spending time with Henry in his kitchen, it becomes quickly apparent of his genuine belief in the product he is making and the support he has from his parents and brother to create a farm business they can all be part and proud of. Running the farm, the equipment hire company and the creamery as three separate enterprises ensures everyone in the family has clear accountability and can monitor cost efficiency.